Hanoi stood second in Southeast Asia in terms of air pollution just behind Jakarta, according to a 2018 World Air Quality Report jointly conducted by Greenpeace and IQAir AirVisual. The report was made following data from dozens of air quality monitoring stations across the world. The report showed that up to 99% of South Asian cities; 95% of Southeast Asian cities and 89% of those in East Asia surpassed the allowed PM2.5 level. PM2.5, also described as superfine particles, is a fraction of the width of a human hair, which is released from vehicles, industry and natural sources like dust. The World Health Organization (WHO) Air Quality Guideline recommends an annual mean exposure threshold of 10 μg/m3 to minimize health risks. Up to 64% among more than 3,000 surveyed cities in the report exceeded the level. In Southeast Asia, Jakarta was the most polluted city which had a PM2.5 level of 45.3 μg/m3. It was followed by Hanoi with 40.8mg/m3. Meanwhile, HCM City was also named among the 20 most polluted cities in the region with 26.9 μg /m3. 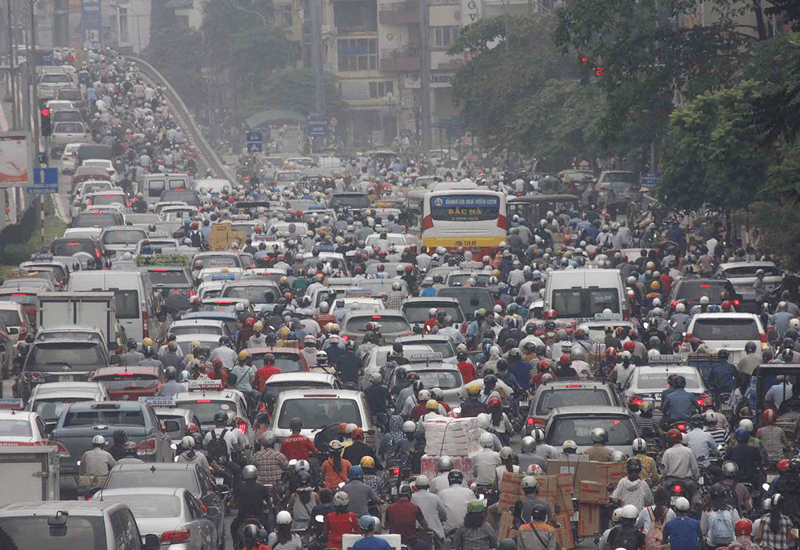 Hanoi is now home to up to 5.8 million motorbikes and 0.7 million cars, which is among major reasons for the city’s bad air quality. Meanwhile, a range of construction projects are underway in the city have also been blamed.